Home Actors Is Dwayne Johnson Married, Has A Girlfriend Or Gay? No, yes and no. These question are asked about most actors, the chances are if you’re a public figure, someone is going to ask sooner or later. So even though Dwayne Johnson, may have the ‘manly’, ‘not gay’ look (because apparently there’s a look), there are going to be speculations made about which team he swings for. So let’s tackle this bit by bit, starting with the question, Is Dwayne Johnson married? You probably already know he’s not, but did you know the actor was once married for 10 years. That’s a whole decade, people. Dwayne Johnson married Dany Garcia, his college sweetheart, and they were together 7 years prior to their marriage. Their decade long marriage started in 1997 and came to an amicable end in 2007, what do they have to show for it? Actually there are a couple of things, first they have a 15 year old daughter. Obviously, she is not a ‘thing’, and she is, what they would consider the best product of their marriage. Her name is Simone Alexandra Johnson and she was born on August 14, 2001. According to Divorce Debbie, the couple stated clearly that their relationship may have changed in certain ways, but that they would continue to remain vitally important to each other, which included co-parenting their then 7 year old daughter. What else could they possibly have together, you ask? The ex couple built an empire together, it’still growing, but ‘7 Bucks’, is a business venture to watch out for. Transcending from acting to business may not be the easiest feat, but when it comes to blurring the lines between careers, Dwayne knows one or two things. The former wrestler has established himself in the ‘acting’ world and will no doubt do the same in the business world. 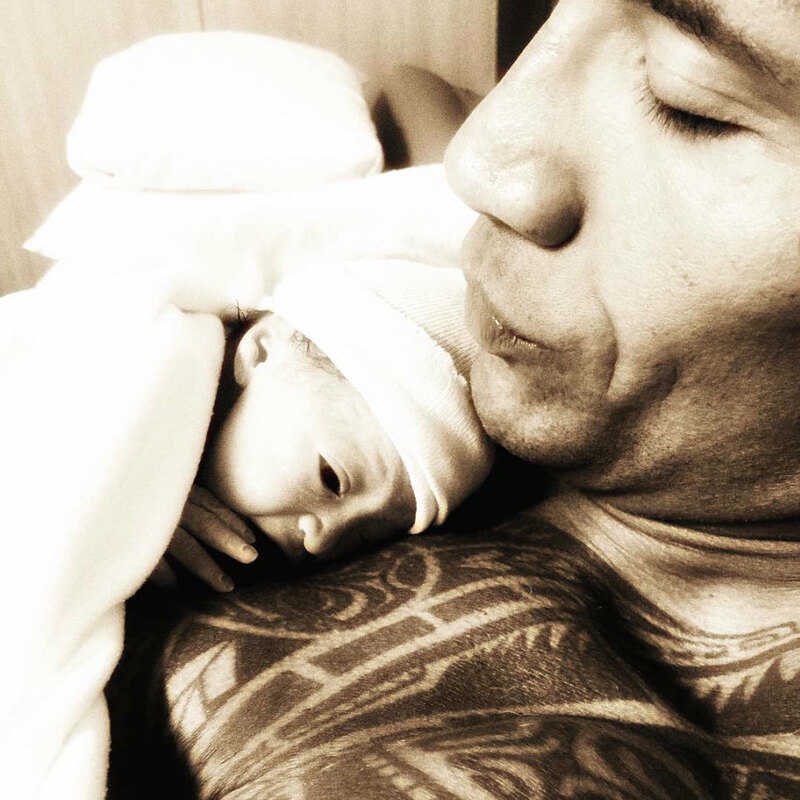 Apart from the fact that they have a child and business together, Dwayne and Dani have one, more person in common. Dwayne’s strength and conditioning coach, Dave Rienzi, happens to be Dani’s husband number two. If they are not the most chilled divorcees ever, then we don’t know who is. 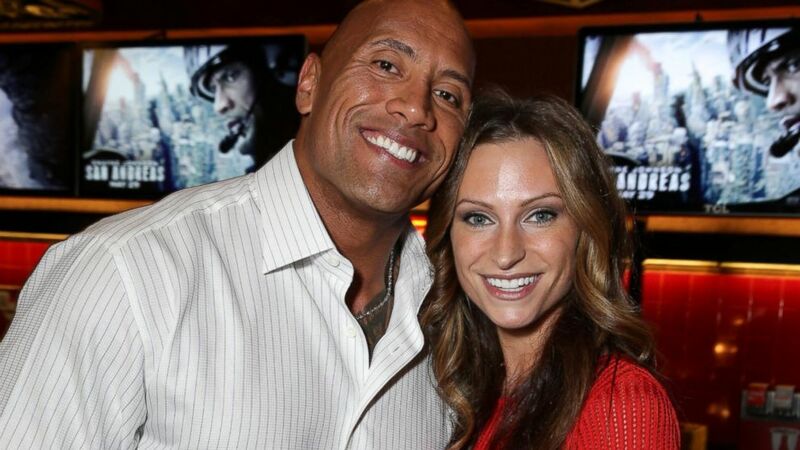 They added, ‘We’ve been fortunate enough to spend the last 17 years together as a couple and look forward to spending the rest our lives together as best friends and business partners.’ So there we have it people, Dwayne Johnson married his friend and though the marriage is over, the friendship remains. That does not mean the actor is single, in fact he is far from it. Does Dwayne Johnson Have A Girlfriend? Oh yes people, he does. The actor is obviously into long term relationships because he has been with Lauren Hashian for 9 years. The couple started dating the same year he got divorced and there were speculations that she might have been ‘a side piece’ that tore his marriage apart. Though they met the previous year, while the actor was filming ‘The Game Plan’, they did not start seeing each other till after the divorce. At the end of the day, only a handful of people know the truth, what matters is that they have all risen above it. The former wrestlers family is quite close, considering the circumstances. Dwayne was pretty shaken by the whole thing, but his move on game is obviously strong. The couple must be really serious about each other because their relationship recently moved a whole level up. On Wednesday, December 16, 2015, the actor and his girlfriend welcomed an adorable baby girl into the world. Her name is Jasmine and just looking at her would make any daddy want to melt. Now all that’s on our minds is if the couple will take the ultimate step of tying the knot, because that is all that’s left. If it’s not obvious by now that the answer is no, then we did a bad job on this one. Dwayne Johnson married a woman, yes he divorced her but he moved on to be with another woman. Based on this, it would be very hard to tag him ‘gay’. Also his wrestling pseudonym was ‘The Rock Johnson’, so unless his whole life is one big cover, it’s pretty obvious that Dwayne likes his lovers ‘female’.